Why Should You Consider a Two-Stage Furnace? Everyone knows that, in DFW, it’s hot. When we replace an HVAC system, the first thing we have check is that it is the new HVAC system is the right size to properly cool your home on the hottest day of the year. Since a large air conditioner must match up with a furnace of the same size, this means that sometimes we have to put in a furnace that is larger than what your home needs. A furnace that is too large can cause comfort issues, poor indoor air quality, and higher utility bills. Our solution to this common problem is a two-stage furnace. The difference between a traditional furnace and the two-stage furnace is all in the name. Traditional furnaces have just one speed, so when you put the thermostat on to heat, it blasts you with 100% heating capacity. While percentages vary, a 2-stage furnace will start out at 50%-75% of capacity and then bring on the remaining heating capacity if needed to achieve the desired temperature. The reduced capacity creates a more comfortable environment that heats the home evenly. 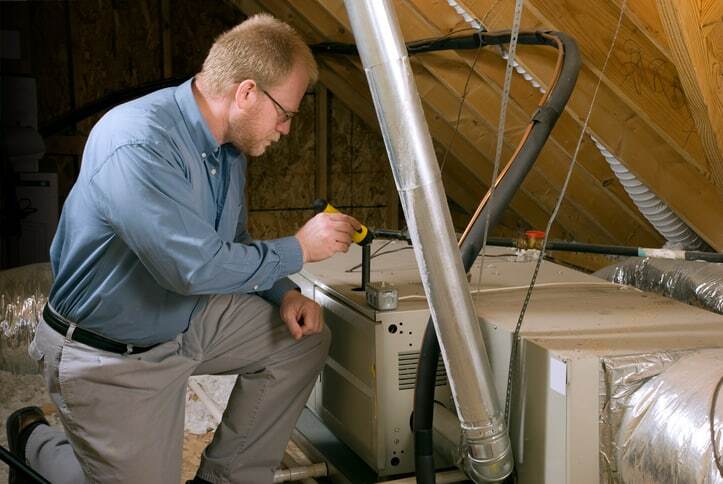 The most common application for the two-stage furnace we see is for the HVAC system on the second floor of a house. The second floor benefits from warm air rising up from below, so less heating is required to keep that area comfortable. The 2-stage furnace also corrects poor indoor air quality. When a traditional furnace comes on, it heats the house up quickly and then shuts down. This does not allow the air to circulate through the home and pass through the air filter to get purified. A two-stage furnace slows down the air flow so that more air can move through the system and the air filter. Two-stage furnaces are also quieter than their single speed counterparts. It helps with A/C too! Lastly, the metered air flow also helps in the cooling seasons to reduce humidity and improve comfort in your home. The air flows out of the vents in a uniform flow and doesnt hit you with a freezing blast of air. Go a step further and combo a 2-stage furnace with a 2-stage air conditioner to make a highly efficient and comfortable HVAC system.